Welcome to the Timeball Tower website. The tower is located on the seafront in Deal. This website will give you an insight into the tower, what it is and information on exhibits and opening times. Visit the Photograph Galleries for a photographic tour of the museum. 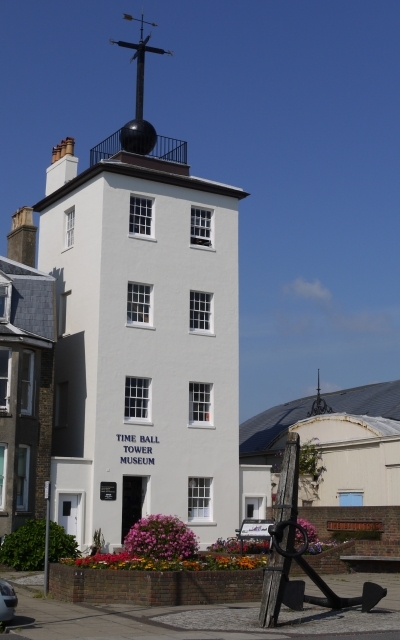 The Visitor Information page provides you with our admission and opening times details, a brief history of the TimeBall Tower as well as directions to us and a location map to give you that little bit more help when finding us. You can also find details and a standing order form for membership subscription here. We've recently acquired the licence to sell Norfolk China, embossed with images of Deal and the Tower itself. Please see price list to the right and the Photograph Galleries for some representative images. We hope you enjoy visiting our website and hope to see you at the Timeball Tower soon.